When managing your money, gone are the days of written ledgers and tracking paper receipts. More Americans are choosing financial apps to manage their money to assist them with budgeting, saving and investing their money. Different apps are helpful for various uses. status/progress dashboard employing heavy visual bar charts and colors (red, yellow and green). Here are some of the most popular budgeting and saving apps and how they can assist you with your specific needs. Mint – One of the most popular apps on the market for managing money and budgeting, Mint tracks spending based on automatically created categories. Users set their budgets and can create alerts when a category is in danger of being overspent. Users can also create their own categories. You can also use this free app to pay bills and split ATM transactions. Most importantly, Mint works to bring awareness to the user of how and where they spend their money and when they may need to cut back. YNAB (You Need a Budget) – This budgeting app does have a fee, but it can be the right fit for people truly committed to living on a budget, especially for couples who want to use the app jointly on separate phones or tablets. The YNAB app imports bank transactions although the user does have to manually create categories. The app proactively helps get users to stay on track to where they want to be with their budgetary and financial goals. A unique factor is that YNAB only allows users to budget money you have on hand. Pocketguard – This budgeting app simply shows how much money users have for spending after all of their essential bills, anticipated expenses and savings goals are used. They will get a view of how much spending money they have and will be able to create categories of spending. Acorns – This app is one that allows users to save money by taking the change from transactions and depositing them into an investment portfolio that uses exchange-traded funds. It provides an easy way to save money. The fees are as little as $1 a month on account balances below $5,000 and 0.25% per year on balances of $5,000 or more. Users can start with as little as $5 a month. Qapital – Working very similarly to Acorns, Qapital encourages users to save money based off of certain user-created goals. For example, if a user makes a coffee purchase or a purchase from a certain store, they can make a rule that a certain amount of money is deposited into a savings account. Created by a behavioral economist, its main intention is to change the way people use and manage their money. There is also a very low interest rate fee. Rize – Saving money becomes easier when you use Rize, which allows the user to create goals and work toward those goals with specified savings amounts. Users can also set their savings goals to rise by a certain percentage every month. Rize also allows users to make small contributions throughout the month, showing them how they can save money and allow small amounts to become a big sum. Robinhood – This app requires no minimum investment to begin and is streamlined to make investing easier. They do not charge transaction fees, and it allows people who may not be too experienced in the stock market to invest. Robinhood also has cryptocurrency training, but users do have to have an account with Robinhood Crypto. Although limited in assets in which users can invest, the low-cost app allows users to make the most of their investments. Stash – An investment app that allows even the most amateur consumer invest in the stock market, dispelling the myth that you have to have a lot of money to be an investor. Once users sign up, they immediately get access to more than 30 different investment choices. Stash requires a minimum $5 investment fee and also allow users to buy fractional shares of what they can afford. 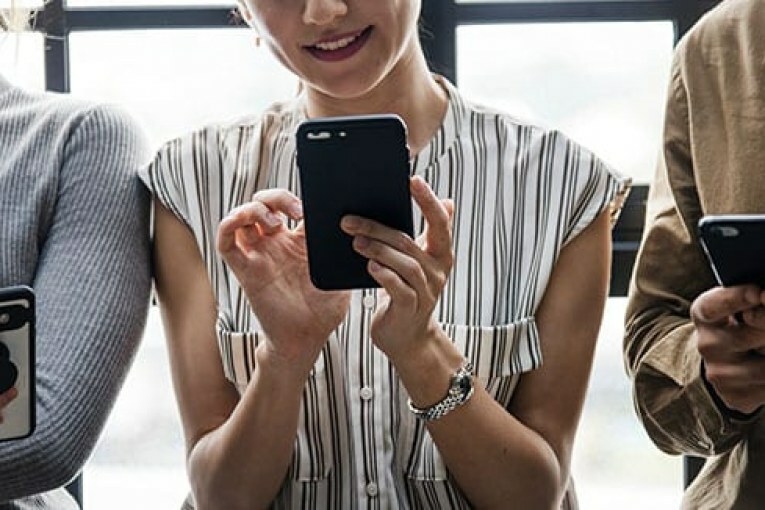 It is recommended that before using financial apps, people seek advice from a financial advisor or a trusted friend or family member with expertise on the topic. With budgetary and savings apps for married couples or families who coordinate spending and budgets, experts recommend that they definitely get “on the same page” before embarking on a financial journey. Apps can be a supplement to building a more healthy financial future but should also be accompanied by teamwork and sound judgment, Morrison said. “Like mosts apps, the financial budgeting and tracking versions are only tools to learn and master to the user’s specific needs. If the foundational budgeting know-how and discipline are absent, you might as well leave the tool on the shelf,” Morrison said.